The Take a Break Vacation Program is one of the most exciting travel offers on the market today. Providing hotel accommodation for two adults over age 21 and up to two children under the age of 12, this offer would allow you to stay for three days and two evenings at one of the many beautiful hotels offered in this program. However, based on the availability of rooms, you may be able to extend your stay at a discounted rate. Depending on the city you choose to visit, the hotel offered may be located in the city or the surrounding area. It is worth noting that the aforementioned hotels are similar to the La Quintas and Choice Hotels brand, meaning they offer a wide range of fun outdoor and indoor activities including golfing, fishing, jet skiing and sight-seeing cruises, among others. To participate in this wonderful program, you need to complete a few simple steps. Firstly, you have to request a Registration Activation from Travel Service Center. Once you receive the form, complete it within 30 days of the issue date and mail the completed form along with a $50 payment to Travel Service Center. If you fail to meet these requirements, the Take a Break Travel voucher will be invalid. On the other hand, if you meet these requirements, Travel Service Center will process your Registration Activation form and payment and then send you a detailed Welcome Aboard email, which will contain the offer’s activation and expiration dates. This offer is typically valid for one year from the activation date. When you are ready to travel, you simply have to submit your Reservation Request Form within 60 days of your departure date. Upon doing this, a Take a Break Vacation agent will contact you within 30 days of submitting your Reservation Request Form to verify the information on the form as well as confirm your hotel reservation. Additionally, the agent will tell you how to claim a $40 refund out of your initial $50 deposit. In certain cases, you many need to pay additional fees. For instance, you may need to pay surcharges for upgraded accommodations, peak seasons and weekends. What’s more, most hotels allow a maximum of two children in a room and charge a fee for additional guests. It is also worth noting that taxes generally vary from one destination to another. To avoid any potential misunderstandings, your personal Take a Break Vacation agent will inform you of any surcharges and additional fees at the time of reservation. The Take a Break Vacation program offers a fun, easy and inexpensive way to enjoy your vacation. 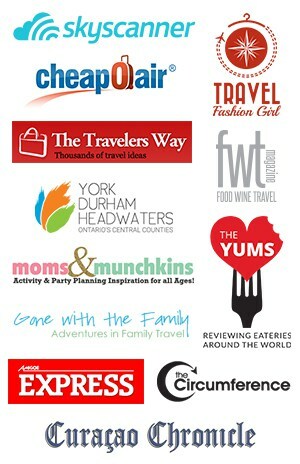 See what other travel bloggers are saying about Take a Break Travel and the benefits to joining. New members get a discount voucher and coupon code as well. 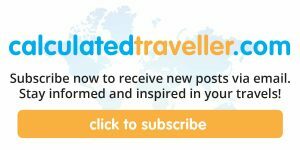 This article was contributed by Take a Break Travel.